Despite all of our best efforts to control our curls, frizz can get the better of us anytime. Pretty much anything can effect your curls, whether it's a change in humidity, wind direction or lack of moisture. If you've been dealing with frizzy curls, it doesn't have to be an on going nightmare. It's hard to believe that one product could be the answer to all of your frizz problems, but check out this frizz guard which arrived on the scene just this month. You're just a few spritzes away from smoother, less frizzy curls. Recommended by stylist Michael Duenas as one he uses to keep his client's curls on fleek, this product by Garner Fructis has everything you want and nothing you don't (like fillers and icky parabens). Duenas describes this product as his “secret weapon”. He regularly reaches for this Argan-oil frizz guard to help his celebrity clients avoid frizz and maintain a natural look. Made with Moroccan oil, this product will make your curls pop. To use, simply spray on damp or dry hair and enjoy instant shine and softness. The formula of the spray is lightweight, so it won't drag down baby fine curls or make them look greasy. For our curlies with fine or medium curls, this product is for you. If you've got heavier or coarser curls, you might want to skip this one in favor of pure oils, as it won't be heavy enough for your curls. The best part about this product? It's less than $5. Read more about how Duenas uses it here. 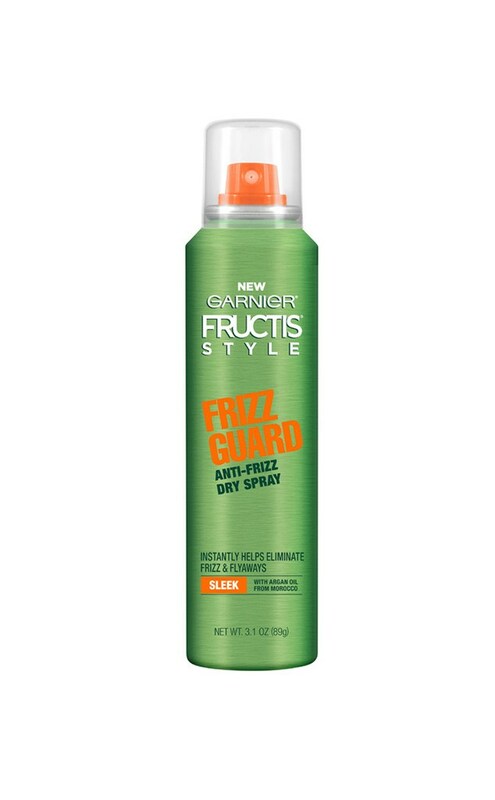 Have you tried this frizz guard? If so, let us know in the comments and share your pics of your gorgeous curls!